Ureteral reimplant being one of the most complex operative procedures performed in children, it is a rational challenge to incorporate minimally invasive approach of laparoscopy with or without robotic assistance to provide the equivalent clinical advantage seen with complex procedures in adult population. It is important to comprehend the history and current status of this technological application in children and recognizes the clinical factors affecting optimal surgical outcome. Furthermore, it is necessary to grasp the essential technical and technological advancement from current literature to promote better surgical outcome of this challenging yet rewarding procedure among children. Chung PH, Tang DY, Wong KK, Yip PK, Tam PK. Comparing open and pneumovesical approach for ureteric reimplantation in pediatric patients—a preliminary review. J Pediatr Surg. 2008;43(12):2246–9. https://doi.org/10.1016/j.jpedsurg.2008.08.057. Chung MS, Han SW, Jung HJ, Im YJ, Han HH, Na JC, Hong CH. Transvesicoscopic ureteral reimplantation in children with bilateral vesicoureteral reflux: surgical technique and results. J Laparoendosc Adv Surg Tech A. 2012;22(3):295–300. https://doi.org/10.1089/lap.2011.0318. Silay MS, Turan T, Kayalı Y, Başıbüyük İ, Gunaydin B, Caskurlu T, Karaman Mİ. Comparison of intravesical (Cohen) and extravesical (Lich-Gregoir) ureteroneocystostomy in the treatment of unilateral primary vesicoureteric reflux in children. J Pediatr Urol. 2017. pii: S1477-5131(17)30404-7. https://doi.org/10.1016/j.jpurol.2017.09.014. Tekgul S, Dogan HS, Kocvara R, Nijman JM, Radmayr C, Stein R, Silay MS, Undre S, Quaedackers J. European Association of Urology (EAU) Guidelines in Paediatric Urology, presented at the EAU Annual Congress London 2017. Arnhem, The Netherlands: EAU Guidelines Office. 978-90-79754-91-5. https://uroweb.org/guidelines/. Accessed 21 Nov 2017. Vachvanichsanong P, Dissaneewate P, McNeil E. What did we find from imaging studies in childhood urinary tract infection and which studies are mandatory? 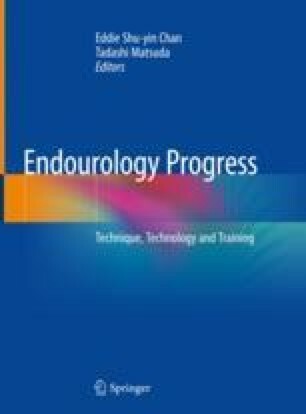 Urology 2017; 2. pii: S0090-4295(17)31047-6. doi: https://doi.org/10.1016/j.urology.2017.09.014.